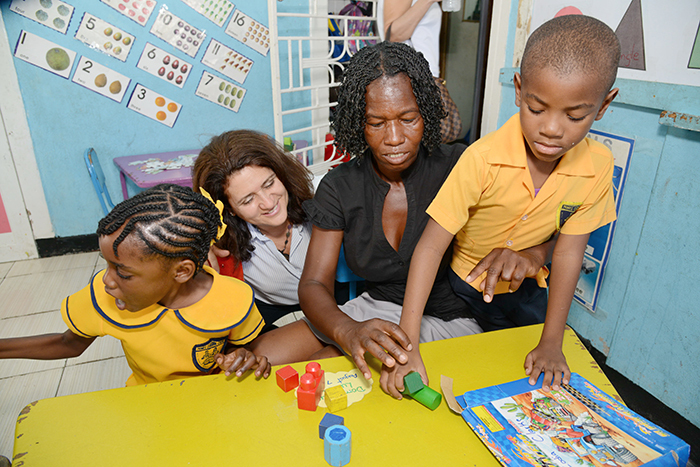 The American Friends of Jamaica is a not-for-profit 501 (c)(3) organization dedicated to supporting Jamaican charitable organizations and social initiatives working to improve the lives of Jamaicans through systemic development in the areas of education, health care and economic development. Founded in 1982 by a handful of Jamaicans and Americans who loved Jamaica and wanted to see it prosper, the organization has created a legacy of philanthropy dedicated to the people of Jamaica, raising over U$14 million to date on behalf of Jamaica’s non-profit and charitable organizations. The American Friends of Jamaica seeks to improve the lives of Jamaicans by supporting initiatives that advance self-sufficiency, promote healthy communities and strengthen the nation. The American Friends of Jamaica was established in 1982 as a 501(c)(3) organization to assist Jamaican charities in the areas of education, healthcare and, human and economic development. American multinational corporations with commercial interests in Jamaica, American winter residents, and members of the diplomatic corps were some of the organization’s initial supporters. The non-profit organization’s founder was Anne F. Sabo, who directed the AFJ until 2003. An annual fall charity gala was established as the major fundraising event for the organization. Each spring, the AFJ awards its annual discretionary grants. The official grants awards ceremony is hosted by the standing United States Ambassador to Jamaica and the AFJ Board of Directors presents organizations with grants that have ranged from US$500 to US$200,000. In its second year, the Board elected to pay tribute to men, women, and organizations who help improve the lives of Jamaicans with the International Achievement Award and/or the International Humanitarian Award. Awardees have included public figures, business leaders, entertainment personalities, philanthropists and founders of charitable organizations. The AFJ’s first chairman, in 1982, was former U.S. Ambassador Loren Lawrence. Following his death, the Board elected Major Gen. Donald S. Dawson, U.S.A.F., Ret., C. D. (Hon.). He served for 15 years and was elected Chairman Emeritus. Former U.S. Ambassador to Jamaica the Hon. Glen A. Holden succeeded Gen. Dawson and remained AFJ President until 2007. Former Florida Secretary of State and Former US Ambassador to Jamaica, Sue M. Cobb, served as the AFJ President from 2007 to 2012 and was succeeded by Former US Ambassador to Jamaica, Brenda Johnson who served until 2015. The current President is Wendy Hart.